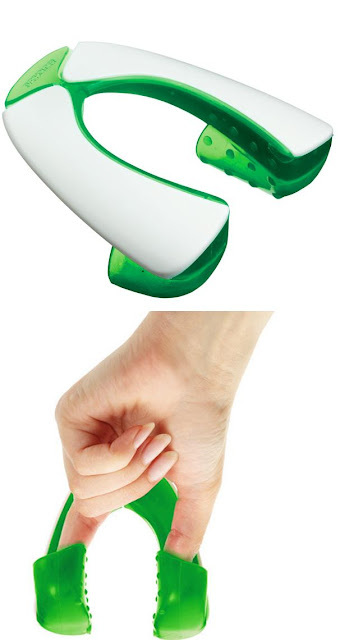 11 Useful Finger Guards and Essential Hand Guards. 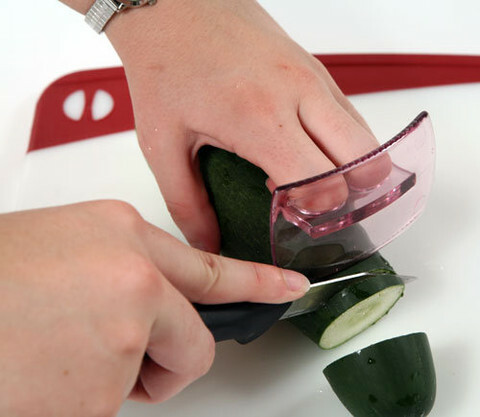 Collection of 'Useful Finger Guards and Essential Hand Guards' for your kitchen from all over the world. 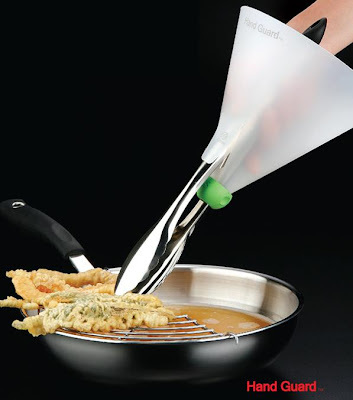 Handguard: The Handguard is a simple funnel-shaped protective cover for your hands; it sticks to your cooking utensils and is designed to keep your hands safe while deep-frying. 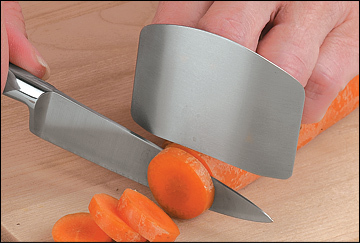 Jamie Oliver Finger Guard: It protects your fingers when using kitchen knives, comes with unique hinged design for comfort and measures 18mm in depth, 60mm in width and 65mm in height. 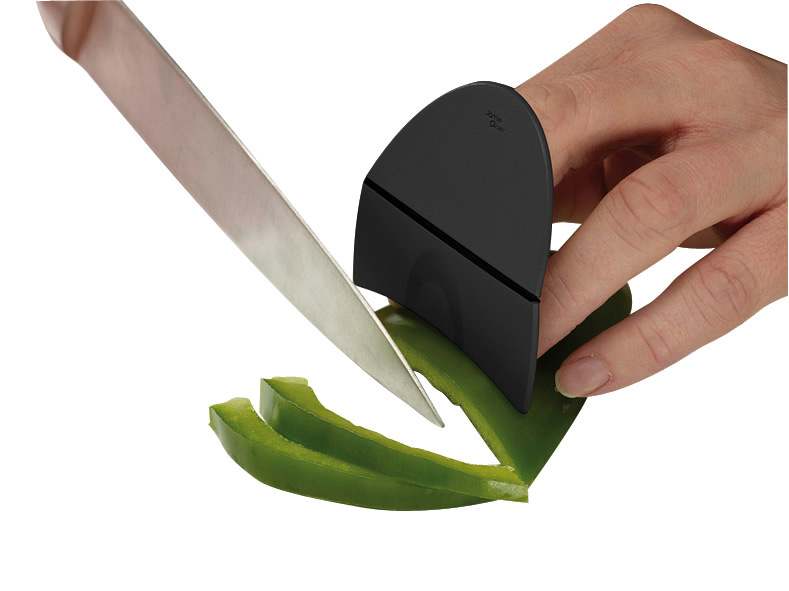 Finger Guard: This cool finger guard protects your fingers while slicing and dicing. Cutting Edge Finger Guard: This extra-large finger guard comes with flexible comfortable holder loops while its ridged base grips food to give you better control. 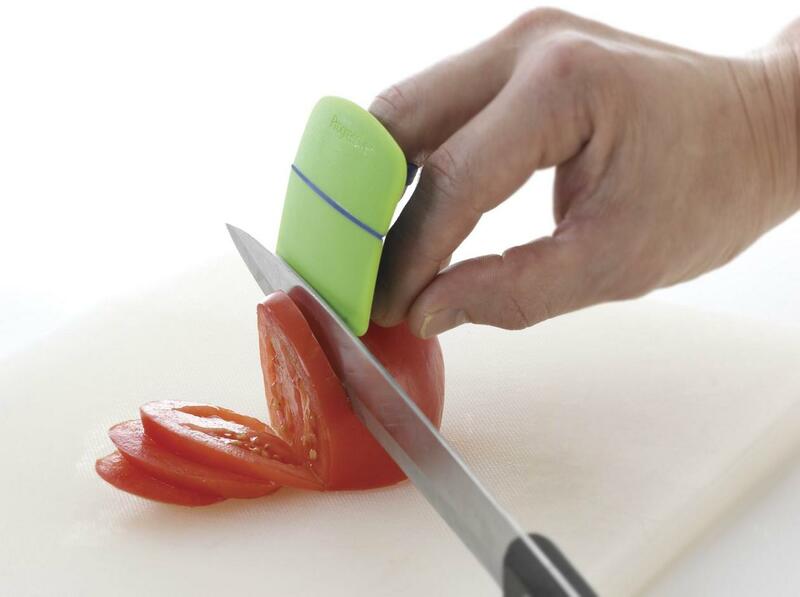 Flexible Finger Guard: This Flexible Finger Guard holds your fruit or vegetable with its flexible fingers pockets and protects your fingers whilst slicing and dicing. 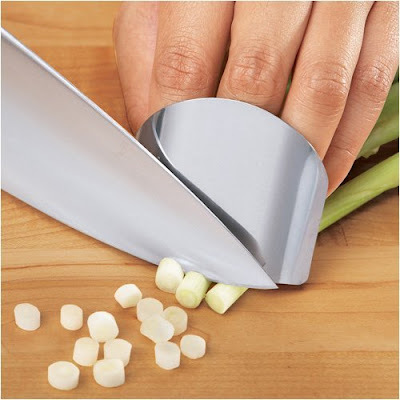 Finger Guard Protector: The finger guard protector makes you finger safe when cutting vegetable in kitchen, it can be adjusted according to the fingers. 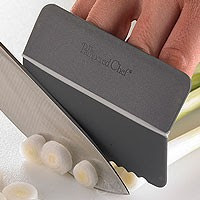 Chopsafe Finger Guard: This guard shield comes with a split ring on the back, it measures 2-1/2" wide and 1-3/4" high and is made from stainless steel. Kitchen Finger Protector: Made of hard clear plastic, it slips over your fingers to protect from sharp knives and blades. 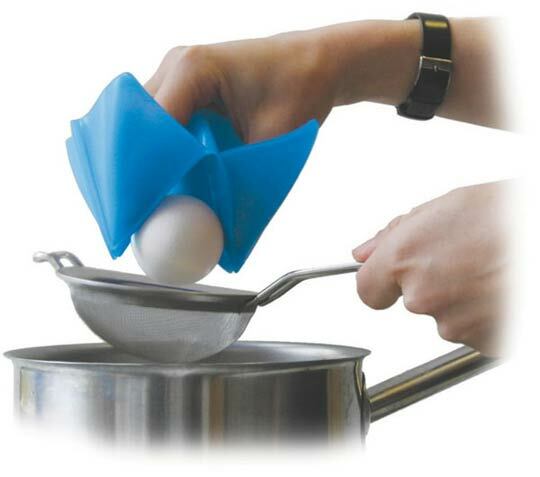 Finger Guard and Potholder: It's waterproof and heatresistant; you can place your fingers in it and hold any hot food. 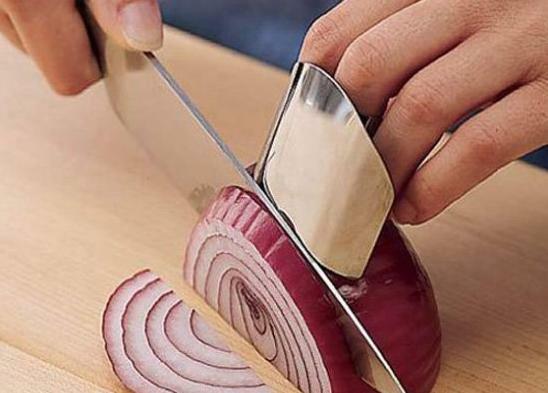 15 Unique Watches and Cool Watch Designs - Part 2. 10 Cool Jackets and Awesome Jacket Designs - Part 2.